Two years ago, Catherine Traer shocked the Ottawa community by making one of the boldest moves a varsity basketball player in the nation’s capital can make. 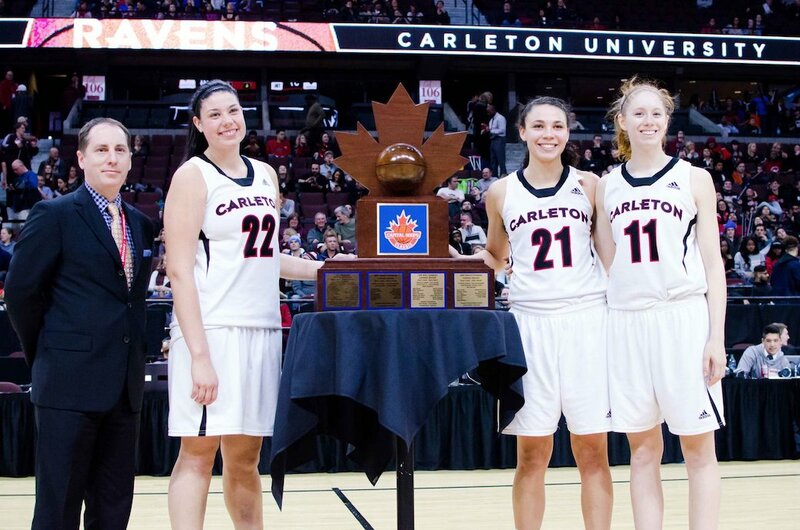 The fifth-year veteran transferred to Carleton University to play for the Ravens and complete her master’s after finishing her undergraduate degree at uOttawa. What made the decision surprising was that the Traer family’s pride to the Garnet and Grey of the Ottawa Gee-Gees is arguably as deep as anyone in the history of the school. That’s where I grew up – that’s where I was crawling around playing with a basketball when I was little because my dad was always around the team and all that. But Carleton has been so accepting and so welcoming of me. 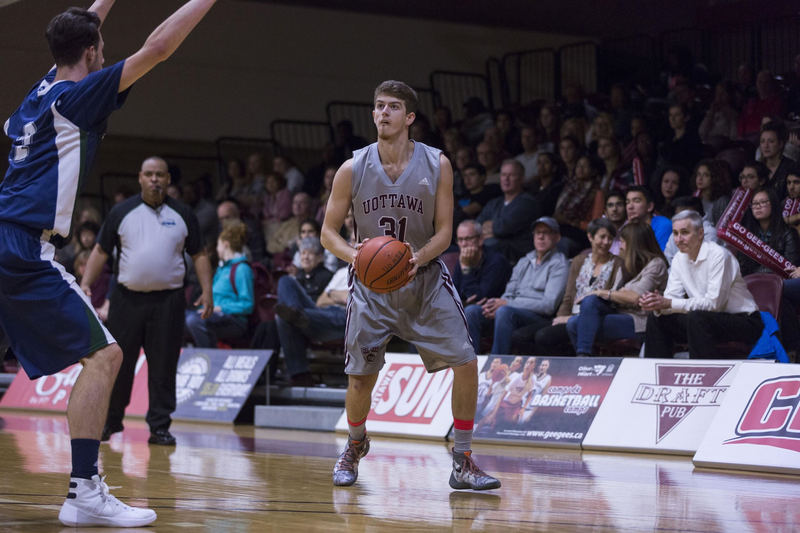 Traer’s father Rick played for the Gee-Gees in the 1970s, became an assistant coach the following decade, and has remained involved in a fundraising capacity for the men’s basketball program throughout his life as an alumnus. 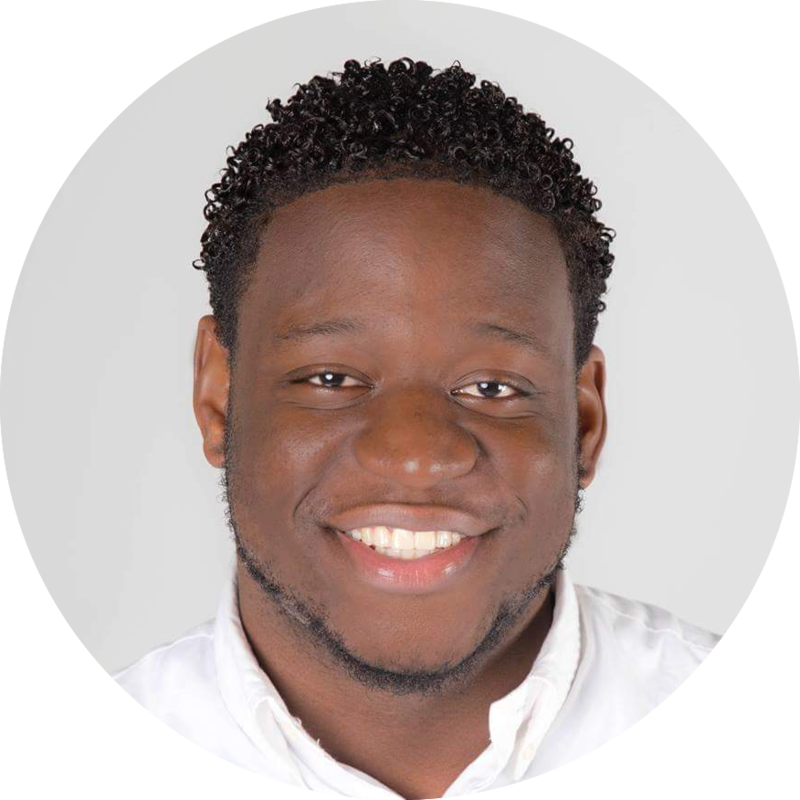 Her mother Francine taught in the education faculty at uOttawa for 30 years and her brother Zach is not only a former Gee-Gee as well, but also the colour commentator for the men’s team. To say Gee-Gees pride runs through the Traer family bloodline would be a large understatement. 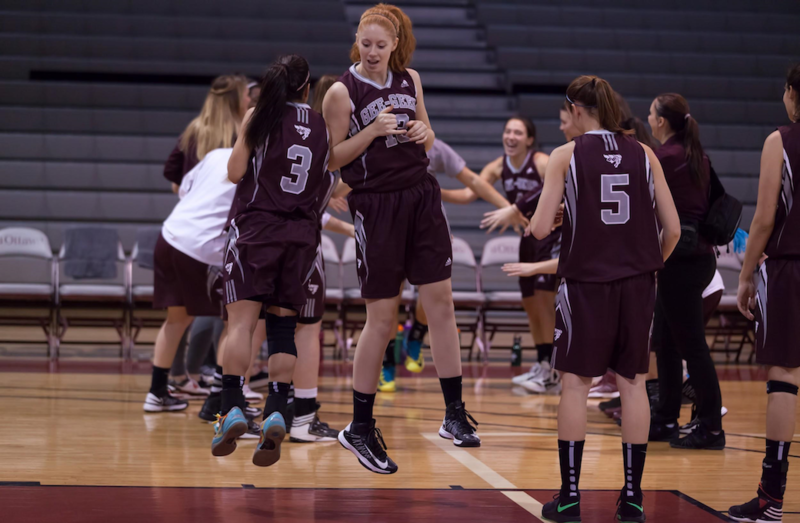 Catherine Traer redshirted in her third and final year at uOttawa, which made her eligible to play for the Ravens for two years. Despite the move to the team’s crosstown archrival, her family has fully embraced the transition. 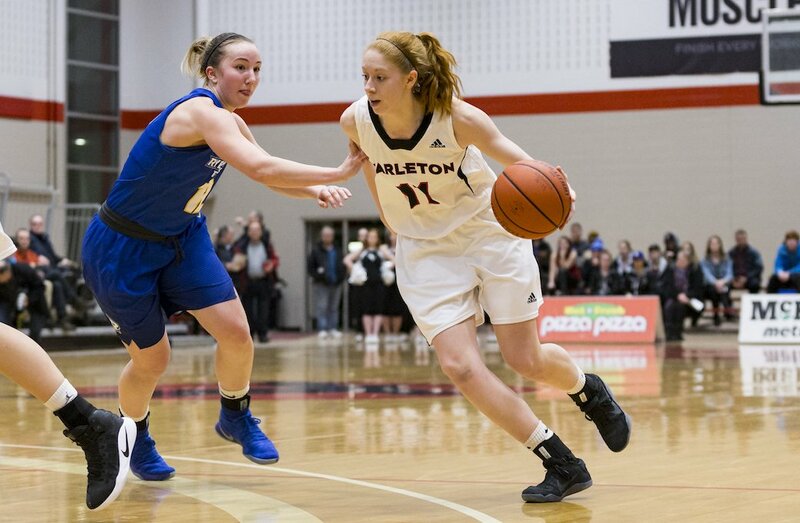 Catherine’s decision to transfer to Carleton has paid dividends for not only her academic goals but her basketball career as well. Off the court, she had the chance to travel to Johannesburg in South Africa to complete a three-week course studying abroad. She also represented Canada-Quebec twice at the Francophone Games, most recently in 2017 in Abidjan, Ivory Coast, while also representing her country for the second time with the Development Women's National Team that competed at the U24 Four Nations tournament in Tokyo, Japan and at the 2017 Summer Universiade in Taipei last August. Back on the national stage, last season the political science master’s candidate added a U SPORTS bronze medal with the Ravens to her list of accolades. Catherine has always been known as a very good basketball player. She is a very underrated defender and a great decision maker with the ball which was a welcome addition to a solid core group of players in 2016. As for her father, Rick Traer holds decades full of basketball knowledge. 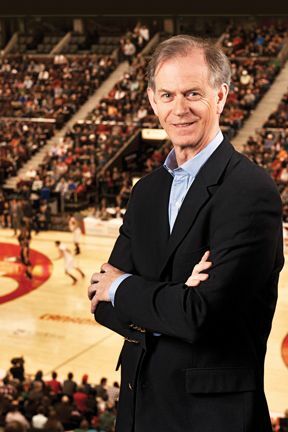 The former Gee-Gees player and coach has served as the executive director of Basketball Canada (1989-97), the president of FIBA Americas (2000-06), vice president of the Association of Pan American Sport Confederations (2003-07) and was a member of the Canadian Olympic Association (1993-97). Currently, he is the CEO of Canadian Sport Tourism Alliance. It just feels like I’m kind of a dual citizen of the city of Ottawa - I can be a Raven and I can be a Gee-Gee at the same time. It's fascinating to see how well the Traer family have handled the transition to supporting the rival Ravens, all for their daughter and sister. 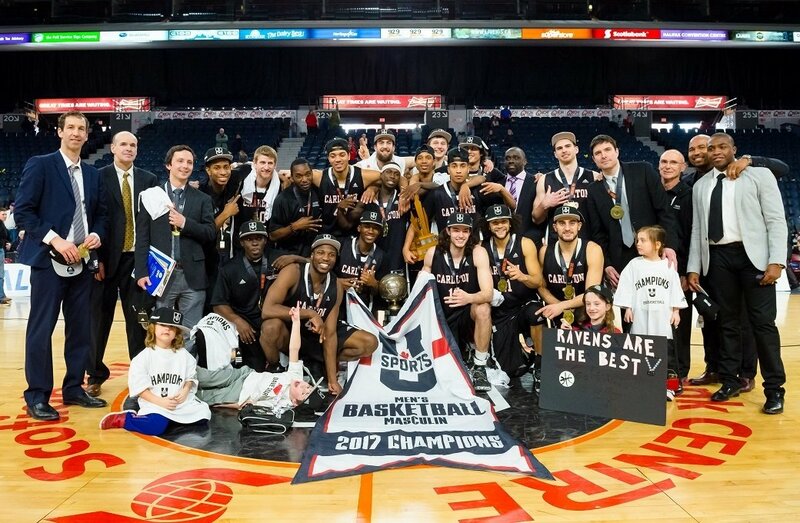 With Carleton currently having their best season in school history, the Capital Hoops Classic will add another great chapter to the rivalry, as the undefeated Ravens will look to claim Ottawa varsity basketball supremacy – even if it’s against Catherine’s childhood team.